We’d love your help. Let us know what’s wrong with this preview of Girls' Camp by Marci McPhee. The power of girls' camp is young women joining capable, positive leaders who are organized and who make things happen. Divine nature is strengthened by being in nature. But how do you translate Mormon-speak for nonmember friends at girls camp? How do you hold to modesty standards while making every girl feel accepted? What about campers with special needs or diet restrict The power of girls' camp is young women joining capable, positive leaders who are organized and who make things happen. Divine nature is strengthened by being in nature. But how do you translate Mormon-speak for nonmember friends at girls camp? How do you hold to modesty standards while making every girl feel accepted? What about campers with special needs or diet restrictions? How do you break up cliques at camp? To ask other readers questions about Girls' Camp, please sign up. 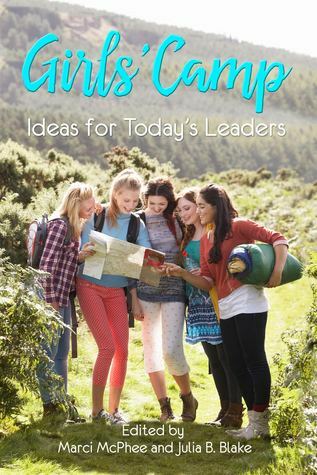 Girls’ Camp is a fantastic resource for camp directors and leaders to use as they prepare for camp. This unique book has personal examples of different situations that take place at camp, both good and bad. It also has some easy recipes, tips for teaching, possible activities, ways to make every girl feel included and so forth. I would definitely recommend this book to LDS or other religious camp leaders in helping them prepare for a fun and safe Girls’ Camp. P Girls’ Camp is a fantastic resource for camp directors and leaders to use as they prepare for camp. This unique book has personal examples of different situations that take place at camp, both good and bad. It also has some easy recipes, tips for teaching, possible activities, ways to make every girl feel included and so forth. I would definitely recommend this book to LDS or other religious camp leaders in helping them prepare for a fun and safe Girls’ Camp. In 2009-10, Marci took a year-long leave of absence from her job at Brandeis University in the Boston area to volunteer as an English teacher in the Marshall Islands in the Pacific. Marci has served as stake and ward Primary president, stake Relief Society board member, ward Relief Society president, early-morning seminary teacher and institute teacher.